The Beautiful Mind level insanity around the AL Previews formula I've been tinkering with and referred to in these two posts should (hopefully) be done today. In an effort to not let the homework slow down our production, we though it would be fun to take another stroll around the Major Leagues and see what each team has going on. Usually a team that is 64-92 and has already annihilated the team strikeout record (for hitters - not good) does not have much good news. Their batters have already struck out 1,458 times; they're the first team to ever strike out 1,400 times. 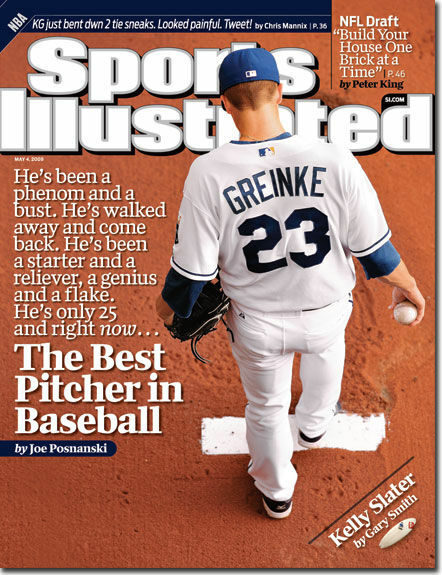 As Joe Posnanski mentions in this amazing post, "If they can just keep up this pace, they will also become the first team to get to 1,500 strikeouts. Parade plans have not been made public yet." So where's the good news? They recently hired Kevin Towers as their new General Manager, and we think he is just terrific. The San Diego Padres success this season should largely be attributed to his ability to build a roster, particularly by hiring the manager, stockpiling lots and lots of power arms, and constructing the best bullpen in the business. Arizona will be markedly better by next year and should be ready to seriously compete again in 2012. The Bravos lost a chance at the division title, as the Phillies clinched last night behind Roy Halladay's 21st victory of the year. He threw a 2-hitter against a lousy Nationals lineup last night. Everyone around the league is watching the dogfight for the wildcard between the Braves, and NL West runner up which will be the Padres, Giants, and at this point probably not the Rockies. These feelings change every day, but we currently feel the NL West will be won by the Giants and the wildcard will be the Braves. That's terrible for San Diego fans, but they should get over it as soon as they step outside. Afterall, THEY LIVE IN SAN DIEGO. Brian Matusz has looked like the Ace many people predicted at the start of this season, pitching to a 1.58 ERA in his last seven outings. Buck Showalter has certainly made a difference in his brief time at the helm, but how much can that translate into hope, or actual success, for 2011? O's fans should be glad that the Rays are getting broken up this year, but that doesn't necessarily mean they'll be terrible. They will still have excellent pitching after losing Carl Crawford, Carlos Peña, Rafael Soriano, and anyone else who leaves for mo' money. Um, on second thought, the Orioles are still in trouble. Chris Tillman has not impressed as some (me) expected, and Jake Arrieta's best contribution this season has been his mustache. Worse than any of that, however, the Red Sox will be reloading this offseason. Some big money, like Big Papi's, will be coming off the books, and they will get better. Look for another Yanks/RedSox Division/WildCard combo in 2011. No, Carlos, you throw the ball. Please, no. Don't make me do this. Please. The Cubs stink. They stink royally. They are the worst team I've seen all year. I would trade the entire Cubs roster for that of the Pirates in a milliheartbeat. 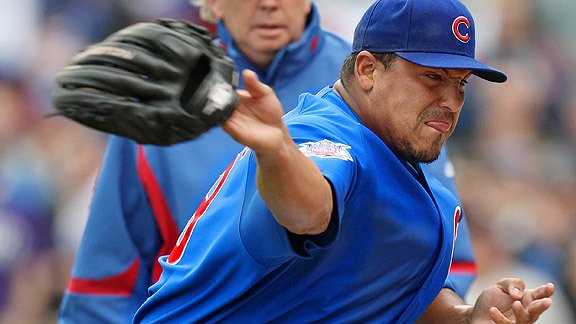 On the good side of things, it looks like Carlos Zambrano has started taking his profession seriously again with the help of Greg Maddux and his mother. Zambrano's mother, not Maddux's. That's the silver lining? zOMG!, this is the worst. The Southsiders are also looking ahead to 2011. We just found out that Ozzie Guillen, and his sons, will be back managing the team next year. That's great. On a relatively serious note, I actually think Guillen is a very good manager. He may not be the textbook savant of LaRussa or Boche, but what he does to become a distraction around the game actually helps his club. Kenny Williams may disagree, but I feel that when Guillen does something outlandish that gets everyone talking about him, it takes pressure away from the players on his team who are struggling. Columnists are more likely to write about Guillen's big mouth than his third baseman hitting .111 the past three weeks, and that makes it easier for players to eliminate distractions and do what they must to improve. Dusty's crew is about to win the Central division. In our preseason predictions post, we picked the Cardinals to win it but had the Reds 2nd. I am so pleased that the Reds overtook the cruddy Cardinals. It's going to be awfully exciting around my TV when Aroldis Chapman does his thing on the national stage. This is the team we're rooting for to win the National League pennant. The other Ohio team has not been successful on the field this year. They probably never had the horses to compete with Minnesota in the central, but losing Asdrubal Cabrera for most of the season and getting next to nothing out of Grady Sizemore doomed them right away. The Cleveland sports scene really has nothing going for it right now. At least they don't have a hockey team to be ashamed of. They made (are making?) a valiant run at the postseason, but as Buster Olney points out in today's column, "the Rockies are all but dead in the playoff races." Next season, the Rockies should be better. CarGo and Tulo may be the best 1-2 punch of teammates this side of... that could be an interesting post: which two teammates are the best combination? CarGo/Tulo? Cano/Teixeira? Pujols/Holliday? Remember when the Mets had Wright and Reyes? The right side of the Red Sox's infield and the Twins' M and M boys could be in the discussion if not for injuries this season. Jim Leyland's club was in contention most of the summer, but they are another team that should reload this offseason. They have big money coming off the books, mostly due to Magglio and Bonderman. I think they will make a serious run at Adrian Beltre, at least. I like what the Marlins have cooking. 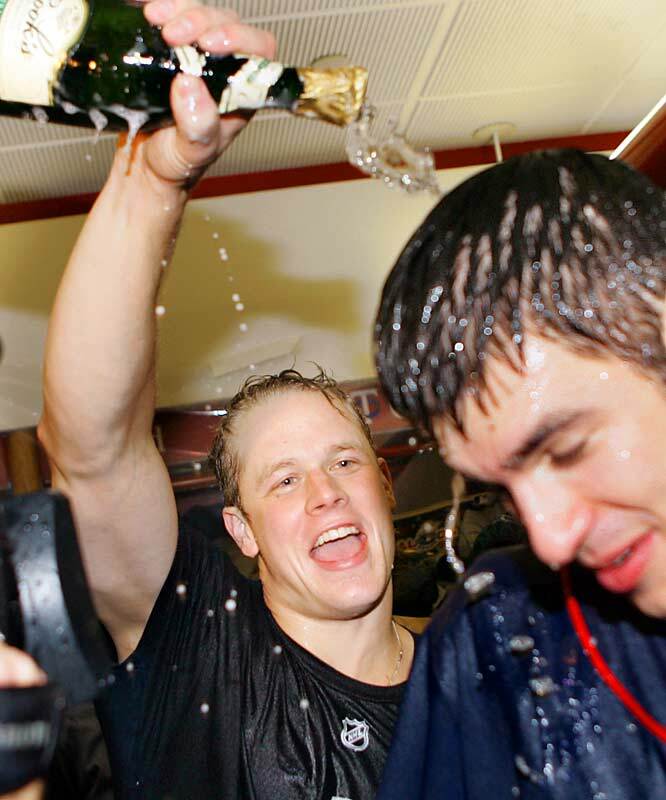 What's not to like about Logan Morrison? The rookie has come to the big leagues and shown Mark Grace levels of patience at the plate. He's also a big, strong kid who should develop additional power as he fills out a little more. In the offseason, they will need to address the 3rd base position. They have a prospect named Matt Dominguez, who I think may still be more than a year away from contributing. It's a shame that Gaby Sanchez can't play third. They could trade him to another team, to open first base for Morrison, but I don't think they can get a good 3rd baseman for him. If I were a Marlins fan, I would just hope that the Opening Day third baseman is better than what they've shown this year with Emilio Bonifacio and Chad Tracy. The Astros are rebuilding, no doubt, but they've shown a spark, an energy, and a likability that Houston fans have eaten up. Since they went with the youth movement after trading Berkman and Oswalt, Houston chatter reports that there is more excitement over this Astros team now than anytime since they went to the World Series in 2005. Carlos Lee is probably moving to first base next year, which should at least help keep him healthy and improve their outfield defense. 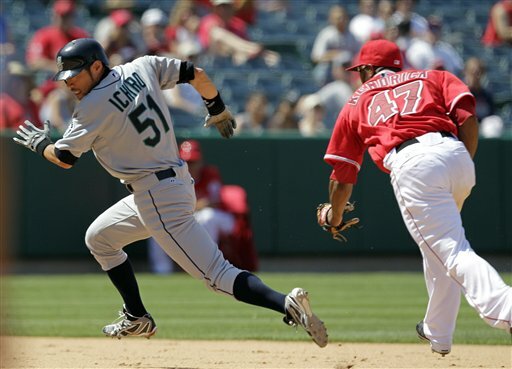 One concluding tip: Logan Morrison should teach Chris Johnson the values of patience at the plate. Our favorite 2012 sleeper has followed a dizzying process to get to where they are now: comfortably in last place of the AL Central. What brings excitement to this franchise is that they look to be on track to have all, err most, of their big prospects hitting the big leagues at the same time. Zack Greinke may think that winning days for the Royals will not be any sooner than 2013 or 2014. If that's the case, he may demand a trade. As a Royals fan, it's scary to consider that they could pull of a stinker of a deal, like the Marlins did when they traded Miguel Cabrera for Andew Miller and Cameron Maybin. On the other hand, I'd be pretty psyched that they should get very good talent in return if they trade Zack. It's better to trade someone a year too early than a year too late. The tea leaves of the rumor mill have lately shown Carl Crawford landing in Orange County this offseason. He would be a noticeable upgrade over Juan Rivera, that is fo' sho'. I'm excited for where the AL West is headed. Texas is obviously good, as they are a young team that won the division this year. They're getting better. Oakland is in 2nd place and may have the best starting pitching rotation in the game. They more than likely have the best young pitching in baseball. I also really like this Chris Carter kid. He just looks like a big, strong hitter who I would like to have on my side. His minor league stats, especially in power and on base proficiency look very good, as well. In the past four seasons, Carter has hit 25, 39, 28, and 31 homeruns, with a career minor league OBP of .380. Seattle can't score, but they can pitch and catch. Plus, Jack Z is a capable front office leader, so we expect improvement from all four clubs. This is a poor time to be a Dodgers fan. The only time they make any worthwhile news is when their manager leaves or there is a development in the owners' divorce case. It looks like they won't be making any financial strides in the foreseeable future. So, I hope Dodger fans don't mind going to the beach and the movies a little more than usual in the next year or two. What will they do with Matt Kemp? Trade or Hold? That's the biggest non Divorce Court question. Why is it that I hate the Packers so much but am indifferent to the Brewers and Bucks? I guess the relative harmlessness of the MLB and NBA teams over the past 20-something years has something to do with it. The Brewers are an interesting case because their window of opportunity is closing. Rumors say that Ken Macha will not be retained as manager, and while they like Willie Randolph to step in, he's not entirely interested. How much longer will they have Prince Fielder, and what will they get for him when he leaves? It'll either be through a trade or the two compensation draft picks they'll get if he free agents his way out of town. Will Prince lose weight outside of Wisconsin? Stay tuned. We'll have more on the Twinkies in our AL Playoffs post. For now, the fans are basking in the glow of the another AL Central title and hoping that Mauer and Morneau are able to contribute in October. Jerry Manuel will be shown the door. Omar will be reassigned to some scouting position within the organization. I'm not sure if Wally Backman is the solution for them as manager. In fact, I think he's not. 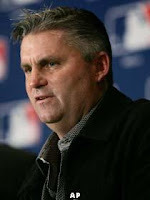 Kevin Towers would have been a great signing for GM, but they lost him to the D'Backs. Now it looks as if Jerry DiPoto may be the front runner for Mets' GM. Good times! This just in: Yankee fans hate AJ Burnett. How quickly they forget that Burnett saved their Championship season 11 months ago by pitching 7 innings of 1-run ball to win Game 2 and even up the World Series. Yankee fans can often get, what's the phrase, a little carried away. I guess we got a little distracted in Orange County, as we turned the Angels snapshot into one of the entire AL West. As we said before, we really lie the A's to be in contention at this time next year mostly because of Brett Anderson, Gio Gonzalez, Dallas Braden, and Trevor Cahill. We've been beyond excited for Michael Inoa for the past three years, but he just had Tommy John surgery a few days ago. Oh well. Congratulations to Ruben Amaro's club for their 4th consecutive NL East championship, celebrated last night. There isn't much to report here. They've been to the World Series the last two seasons and are likely the favorites to return again. Their starting pitching is better than ever with a 1, 2, 3 punch of Halladay, Oswalt, and Hamels that no-one besides San Francisco can argue with. I don't think the Pirates will be planning a celebratory parade in the steel city any time soon, but it doesn't mean we don't see progress. After Sid Bream slid into homeplate safely before Barry Bonds's weak throw from left field to win Game 7 of the 1992 NLCS, Pirates fans have not even had a shred of hope. They haven't even had a winning season since then. Can they go 20 years between winning seasons? Probably. Can they go 25 years? The way Cincinnati is built, and the Cardinals and Cubs can be expected to improve, it looks like there's a chance. But, we love Pedro Alzarez. We've mentioned some of their strengths in the Braves section. They have had the best bullpen in baseball this year, but it may not be enough to make the postseason. Last night, they blew a chance to make up some ground by losing to the miserable Cubs. Losing games like that has to end right now if they want to play in the postseason. Here is our pick for the NL West crown. Lincecum, Cain, Sanchez, Zito, and Bumgarner have a very good chance to win every time out. The major difference between this club and the Giants teams that failed to support Lincecum, Cain, and Company the past few years are the contributions they've finally seen from hitters such as Aubrey Huff, Buster Posey, Pat Burrell, and even Juan Uribe and Jose Guillen, who stink. Much like with love, clutch hitting is all about timing. They have the best pitcher in baseball, a strong defensive club, and a general manager who is smart, open minded, and has built a front office full of sharp thinkers. What they need are people who can get on base and score runs. Again, we see improvement from all four teams in the AL West. Which teams improve the slightest and the most will determine next year's standings, but I see hope for all four fan bases. It would be very nice if Tony LaRussa took his abused cats and went home. He should join Robert Shapiro and do commercials for LegalZoom.com. Have I mentioned that I don't really appreciate Tony LaRussa? He's a pompous jerk, who thinks he's the best thing since getting wasted at a vegetarian dinner. Go away, Tony LaRussa. We don't want you drinking and driving anymore. We don't want you to make it seem like it's okay for your players to drink and drive. We're sick of you changing pitchers five or six times per game. You are a buffoon, and nobody outside of blowhards like Buzz Bissinger like you. Walt Jockety left you for the Reds. Do you think your ego and wig-like hair had something to do with that? So do we. While we're speaking Tony, why don't you go ahead and ask your GM to trade Colby Rasmus. We dare you. Nolan Ryan's club has made winning the west look easy. They clinched the division a while ago and still hold a double digit lead on the rest of the teams. This is the last tease for our AL Playoff post. (I semi-promise, okay?). We will, of course, have more analysis of the Rangers at that time. As a preview, we currently feel that the Rangers are ranking fourth out of the four postseason teams. I've been working on a way to compensate for the Twins loss of Justin Morneau, but regardless it looks like the ALCS will be Yankees/Rays. "moved into the top 10 among teams in single-season homers with two blasts on Monday. As you can see, they have an excellent chance of finishing in the Top 5 all time. The Blue Jays suffer, like the Orioles and Rays, from being in the same division of cold war rivals New York and Boston. When those two organizations stockpile young talent and surround them with the best free agents money can buy, it's tough for a homegrown team from Canada to compete. Toronto will likely finish in 3rd place next season, but the fans can hold out hope that their team will take the place of the Rays in what has recently been a 3-team race to the playoffs. Have a great Thursday, everyone, and early happy birthday to our boy J-Rich at WGN.